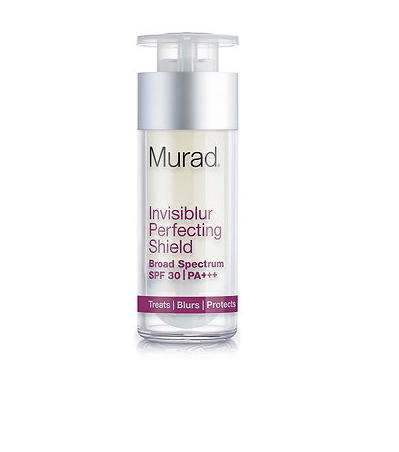 The Invisiblur Perfecting Shield Spf 30 by the celebrity dermatologist Dr Murad is new to my bathroom cabinet and is my latest skin saviour. This groundbreaking primer, moisturiser and sun protection in one features the most unusual ingredients: Shitake Mushroom and Mucor Miehei Peptides to stimulate collagen production, along with a Soft Focus Complex that blurs, softens and primes skin for a flawless complexion. It also contains Barley, Sunflower and Cucumber extracts to mimic the skin’s membrane structure, enhancing its ability to attract and retain moisture. I use Invisiblur after cleansing and right before applying my makeup, the moisturiser really is a perfect base and leaves my skin looking absolutely flawless and feeling velvety-soft. The anti-ageing shield also softens the appearance of fine lines and is a great product for holding back the years.